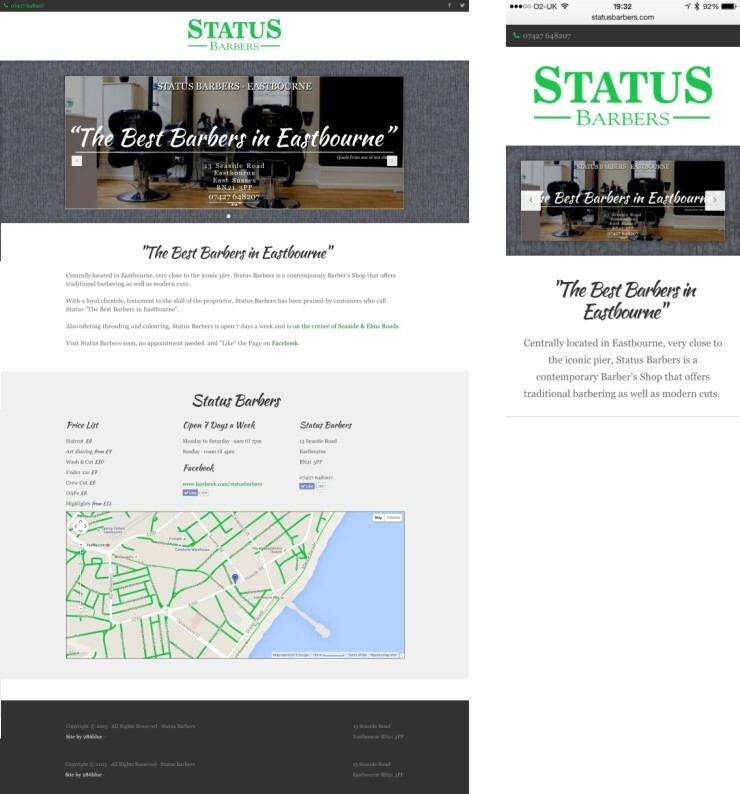 A simple & clean website for a newly-opened Barbershop, Status already had their branding in place but required an online presence that reflected their business. 286Blue created a stylish & informative site using elements of the shop decor, as well as helping Status get listed on Google Maps and other search engines to generate visitors from mobile & desktop searches. A responsive site, so it looks great on all computer & mobile screens, the build allows expansion of the site in the future.